For about the last six months the LDS church has been releasing a series of Gospel Topics essays. Elder Snow, a general authority and the current Church historian explained the need for these essays back in December. "The First Presidency and the Quorum of the Twelve both have been very supportive of this process, I think they sense the need to provide accurate information to our members to counter a lot of sensationalism that tends to come about online or on the Internet over some of these historical topics." The church is a little bit of a pickle. They recognize that many of the details that they would like to not dwell on are pretty easily accessible. I think Elder Snow is essentially admitting that the internet has forced their hand and they would rather not address these issues at all. But I applaud them for trying. But that is where my praise stops. I have read every one of these essays and I have been rather disappointed. The essays skirt some issues, minimize others, provided long-winded responses that don’t answer the fundamental question, and in some cases clouds the issue even more. It makes me wonder, to whom are these essays addressed. Initially I was under the impression that they were for any member who was having doubts and looking to restore their faith. With every subsequent essay I have been lead towards a different conclusion. I believe that all along these essays were meant for the true believing faithful member. I now believe that the only reason they are writing them is so that they can be used to counter the claim that the church is hiding its history. Kudos for doing that much. But there is so much more that needs to be addressed that they are avoiding. There are quite a few problems with this statement. First, It is circular reasoning. An outside objective source besides the book itself would be helpful. I’d be willing to say that every pious follower of every faith in the world could make the same claim and the world is no closer to any agreement on which is true. Second, If ultimately the only thing that matters is our feelings about it then why write an entire essay trying to explain away the questionable providence of the book? 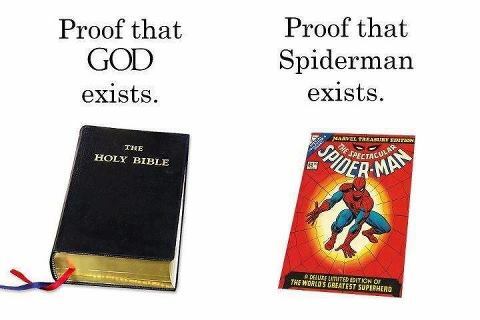 Seriously, I wish more theological discussions would start with this statement. Basically it is a confession that you value your subjective feelings over anything else a critic could present. Fine, you have faith. I've blogged before about how I don't understand this method of finding truth, but I have nothing to counter that. But don’t then turn around and try to make objective truth claims based on your subjective feelings. Again, any follower of any faith could make this same claim and we are no closer to resolving the disagreement. I don’t envy Elder Snow. It’s a tough predicament and I don’t know how I would handle it if I were in his shoes. If they are too forthcoming they risk challenging the testimonies of members who didn’t already have questions. If they say nothing they will continue to be criticized for whitewashing their history. I guess the tactic they took is about the best I could expect. I just wonder what is says about an organization, any organization, when being simply being honest and transparent with your history is such a liability. Posted by Michael on Jun 30, 2014 in Uncategorized | Comments Off on Remember me? So I've been told by several people that I need to get back to blogging. This is quite reassuring. I didn't realize anybody actually read this. Since about 2010 several things in my life have gotten very difficult for me. I've shared some of those issues on this blog but not all of them. Many of those issues will remain private, but this post is an attempt to be a little bit more forthcoming about at least one of them. Last Sunday I gave platelets again. It's been about six months since the last time I gave. I had a little accident last time. The accident itself didn't bother me but my response did. In early January I went in for my regular scheduled platelets donation. Everything went fine during the donation. But afterwards I really had to go to the bathroom before the drive home. That’s one of the side effects of pumping in a liter of saline during the process. Anyway, while I was in the bathroom I must've blacked out. I looked down onto the bathroom floor and there was a large puddle of blood next to my right arm. The technician who it taped up my arm had forgotten to apply the pressure bandages as well. The clot broke and I had started bleeding. As I said the accident itself didn't bother me with my reaction did. Rather than bend my elbow to immediately apply pressure I simply sat and looked at the blood for a few seconds. Several things were going through my mind, a lot of unhappy thoughts. For the past few years several things had been drifting further and further from my control. Never before had I considered myself suicidal. I just don't think I could ever do that. But although I could never actively cause my own death for a few seconds while I was sitting on the toilet I entertain the idea of not doing anything to stop it. It took quite a bit longer than it should have but eventually I did reach over with my other arm apply some pressure and try to stop the bleeding. I staggered to the door, called the technicians and they came and took care of me, stopped the bleeding cleaned me up. Depression runs in my family and I knew I had some symptoms. That day was the first time I realized that I needed to do something about it and get help. It took me a while to get past the stigma of therapy. This event was the straw that broke the camel’s back and convinced me that if I didn’t I probably wouldn’t be around much longer. It was very nice to just sit down with a therapist and talk about things that are going on in my life. She was brilliant and was able to show/convince me that my response to the stress was not normal and that I was being very unrealistic in my expectations of others and more importantly myself. I was able to learn some better ways to handle my stress, rejection, depression, anxiety, PTSD, etc. And not just let them all define who I was becoming. So why am I sharing this? Because I want to help remove the stigma of therapy for others. I have some friends, family members, and Facebook friends (whom I’ve never even met in real life) who helped me get the help I needed and I hope I can do the same for others. PS. I promised my wife and a few others that I’d get back into the habit of blogging. I’ll do my best, but I’ve made that promise before too. So we’ll see how it goes this time. Thanks for reading. "Epistemology: from Greek ἐπιστήμη, epistēmē, meaning "knowledge, understanding", and λόγος, logos, meaning "study of") is the branch of philosophy concerned with the nature and scope of knowledge and is also referred to as "theory of knowledge". It questions what knowledge is and how it can be acquired, and the extent to which knowledge pertinent to any given subject or entity can be acquired." I don’t understand the LDS method for determining truth. It is all based on emotions, feelings, and logical fallacies. Yet apostles even admit that feelings are unreliable and can even be deceptive. This even happened to Joseph Smith when he sent a group to Canada to sell the copyright to the Book of Mormon. When they returned unable to sell the copyright he admitted that the revelation must have come from the devil. Perhaps this is the story to which President Packer refers. The logic seems to be that if we have a good feeling that leads us toward obeying the church, then that is from God. And a good feeling that leads us away from the church is not from God. This answer is a win-win situation for the church but to any critical thinker it is no answer at all. Heads I win, tails you lose. To me it seemed obvious that emotions are unreliable and ineffective at determining truth. Something else besides emotion is required. Yet nobody could describe the process to me without using emotions and feelings. “a warm feeling, happiness, a quiet confidence, etc., etc.”. So far nobody has been able to tell me what other tools to use in my quest for truth. The church has far too many unanswered questions once I put the emotions aside.